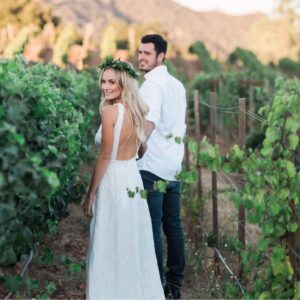 What is the official status of Ben and Lauren’s relationship? Ben Higgins finally responds to the break up rumors. For months, the fans of the Bachelor couple have noticed some red flags in Ben and Lauren’s engagement and the rumors of their split have not stopped since. 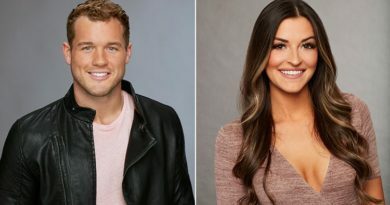 A source told Us Weekly “a breakup has been coming for a while” for the Bachelor couple, though they claim nothing has officially happened. 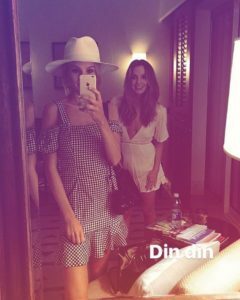 Since the last few weeks, Ben and Lauren have been spending a lot of time apart with Lauren going on a solo trip to Nashville and then spending her birthday in Punta Mita, Mexico with sister Mollie instead of Ben. She then posted a series of Snapchats in which she wasn’t seen wearing her engagement ring. She then officially removed the word “fiancé” from her Instagram profile, it now only has her business contact info. Ben Higgins returned to social media to address the break up rumors. “No need to respond often to rumors or ‘fake news’ but the feeling I have in this picture is the same feeling I have for this girl today. We have entered into a world where rumors will exist we know that, but just know as Lauren celebrates her birthday tomorrow I am still extremely lucky to be able to share life with her and be by her side. No need to respond often to rumors or “fake news” but the feeling I have in this picture is the same feeling I have for this girl today. We have entered into a world where rumors will exist we know that, but just know as @laurenbushnell celebrates her birthday tomorrow I am still extremely lucky to be able to share life with her and be by her side. Lauren is yet to respond to the rumors.